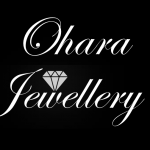 Welcome to Oharajewellery! We are a family run Jewellers based in Spennymoor, County Durham in the United Kingdom. Our focus is to sell high quality jewellery at the very best prices whilst offering outstanding customer service. Jewellery is our passion and we love to sell jewellery that will match any occasion! We love to engage with our customers online, so why not follow us on Facebook , Twitter or Instagram to keep updated with our latest products. Feel free to ask us any questions, we would love to hear from you! We only sell our Jewellery online as we believe this way we can cut out the cost of renting a shop and pass the saving onto you. To ensure customer satisfaction we dispatch all orders within 24hrs and provide free 1st class post within the United Kingdom. We also post internationally for only £3.99! On top of this every item comes with a free Jewellery bag for yourself or as a gift for someone else. Combine this with our 30-day money back guarantee and your all set!